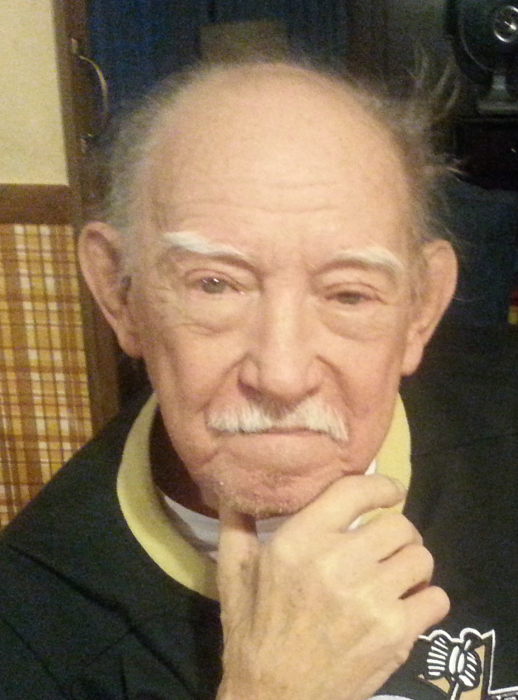 Barry W. Zischkau, age 82, of West Hickory, PA, passed away suddenly but peacefully at his home on Sunday, December 24, 2017. He was born in Tidioute, PA on his grandparents farm on May 9, 1935, dear son of the late David W. and Kathryn (Lalich) Zischkau, of Turtle Creek, PA, where Barry grew up. Born premature, he wasn't supposed to survive, but he did with loving care from family, a strong will and a warm shoebox. His mother remarked that the doctor said that he was the most perfect and beautiful baby that he had ever delivered. That beginning set the tone for him being resilient under the toughest of circumstances. He leaves behind his beloved wife of 62 years, Patricia A. (Stoddard) Zischkau, who he married in Warren, PA on December 12, 1955. Barry was introduced to Patricia by an invitation from her mother to their house when he was 18. Thus, the courtship began through singing and playing music and has never stopped since. Patricia was smitten quickly and easily because of Barry's stunning handsomeness, kindness and love of music. They were beautiful together in every way. Before settling in West Hickory, Barry and his family lived in 8 different places. His humble beginning after being married was $40, a spaghetti dinner with friends and family and then off to work the next day singing in a jamboree with two friends in the Jamestown, Warren and surrounding areas as well as other jobs. Barry was well-known for his hard work ethics, working seven days a week for many years to raise his large family. He finally retired from the National Forge in Irvine, PA in 2000, where he worked as a foreman in the crankshaft and finishing department for nearly 40 years. He was a talented pitcher for the National Forge men’s softball league among other leagues throughout his life and also enjoyed bowling and playing golf. He was an avid fan of the Pittsburgh Penguins, Steelers and Pirates. Barry had a lifelong love of music and enjoyed singing and playing the guitar. He especially enjoyed it when his children would play and sing. He loved watching the RFD-TV channel and all the music performances on TV on Saturday night. He also enjoyed Masterpiece Theater. In his younger years, he was an avid reader of Zane Grey and mystery novels. He also enjoyed fishing and sometimes hunting, although, he never cared much for venison. He enjoyed taking roadtrips and camping vacations on Lake Erie with his children and later with just Patricia traveling to some place new for dinner or just a leisurely drive. He loved walking through the woods and had many fond memories working on his grandparent's farm and enjoying the outdoors. He loved animals and as a family, enjoyed having his homestead often graced with fish, parakeets, canaries, hamsters, guinea pigs, cats and dogs. He also had chickens for a couple of years. Barry was a kind man, a humorous man, a loving man, a man's man, a man who even when he had reasons to be down, could pick you up. He was great at giving advice in subtle ways. He gave a big ear. He would be smiling right now by all the attention probably saying "Oh Lord, it's hard to be humble, when you are perfect in every way, Oh Lord, it's hard to be humble but I am doing the best that I can" a quote from a Mac Davis song he'd quote often. Barry fought great health battles over the last twenty years. He gave many encouragement when he probably needed it more, perhaps this giving helped him feel better when he was doing less physically. He was a true champion, a warrior and a friend in every way. He was The Zischkau Lion King and now the Lion sleeps tonight. In addition to his wife, Patty, he was a loving father to three surviving sons: Daniel W. Zischkau of Stoneboro, PA, Matthew W. Zischkau and his wife Sherry of Titusville, PA, and Barry A. Zischkau and his wife Marla of Franklin, PA. And four daughters: Brenda L. Nelson and her husband Brian of Titusville, Sheila A. Weber and her husband Edward of Oil City, PA, Alberta (Birdy) K. Zischkau of Turtle Creek, PA and fiance' (Barry's Bodyguard) Clarence T. Collins of Titusville, PA and Amy L. Weaver and her husband Brad of Meadville, PA. And 14 grandchildren and 17 great grandchildren. He was a loving brother to , David T. Zischkau and his wife Josie of North Versailles, PA. His sister, Dianne L. Yagle and her husband Ted of North Huntingdon, PA. As well as, several nieces and nephews. In addition to his parents, Barry was preceded in death by his grandson, Pierce E. Zischkau. His great granddaughter, Shonnel E. Hammond. His sister, Ellen G. Mains, her husband Richard E. Mains and two of their children Kevin E. and Michelle L. Mains. Friends will be received from noon until 2 P.M. on Saturday, December 30, 2017 in the Norman J. Wimer Funeral Home of Tionesta. Services will follow at 2 P.M. with Barry’s son, Matt W. Zischkau, presiding. Memorial contributions may be made to the Warren County Habitat for Humanity, www.habitat.org, Dialysis Patient Citizens, www.dialysispatient.org, Juvenile Diabetes Research Foundation, www.jdrf.org, Guiding Eyes for the Blind, www.guidingeyes.org and the Sarah Stewart Bovard Memorial Library, www.tionestalibrary.org.